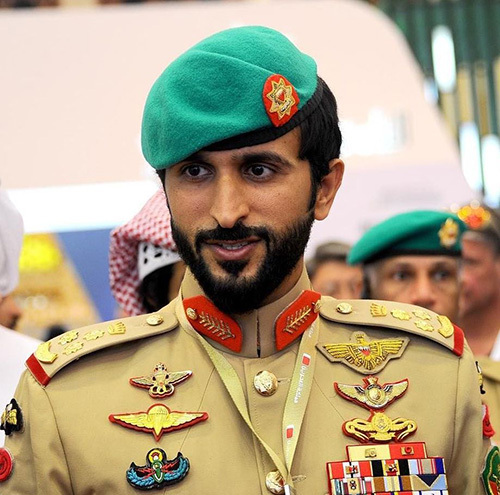 Bahrain’s Royal Guard Commander HH Brigadier-General Sheikh Nasser bin Hamad Al Khalifa (photo) received Royal Guard affiliates who have completed their higher studies and obtained Doctoral and Master’s Degrees in various specialties, Bahrain News Agency (BNA) reported. His Highness directed them to exert more efforts in their academic and professional career in the interest of the Kingdom of Bahrain and the Bahrain Defense Force. The five graduates thanked HH Sheikh Nasser for his continuous encouragement and support to them.